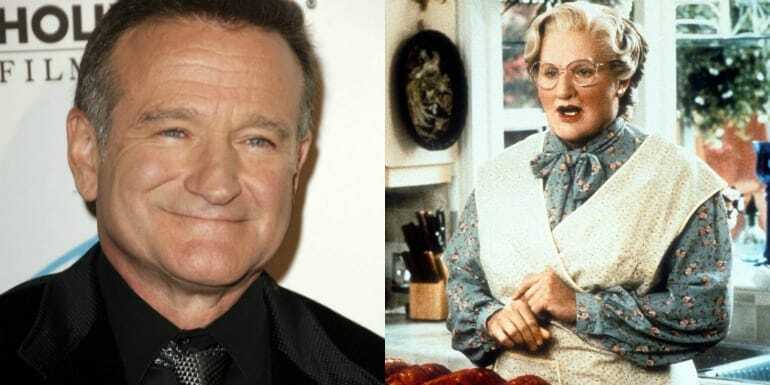 The late great Robin Williams played the role of the adorable and sneaky Mrs. Doubtfire. The 1993 film revolved around a father who had the custody of his children taken over by their mother. In order to keep close to his kids without anyone knowing, dad became Mrs. Doubtfire. Williams spent four and a half hours every day to transform into the old lady he would play, with prosthetics put on multiple areas of his face. The look was topped off with a strand of pearls, oversized glasses, conservative hairstyle wig and an English accent. In the 2001 comedy, Shallow Hal, actress Gwyneth Paltrow became a ‘more to love’ version of herself. 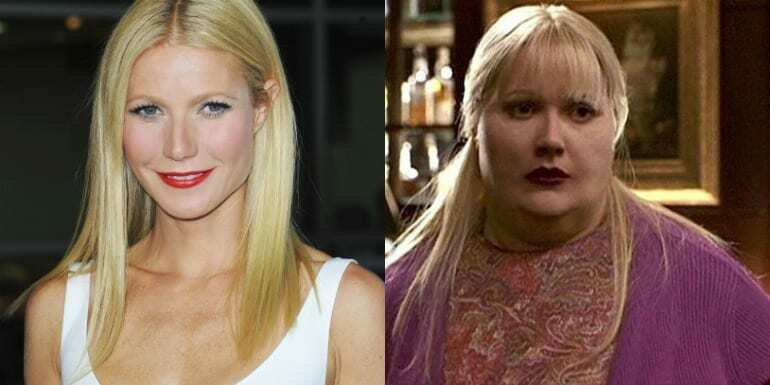 Paltrow wore a fat suit and facial prosthetics to transform into Rosemary. Along with actor Jack Black, Paltrow delivered a lot of funny lines with a very serious underlying theme. Paltrow went through four hours of makeup to become her character every time there was a scene where she appeared as she really was and not just as Hal saw her. John Travolta is one versatile actor. 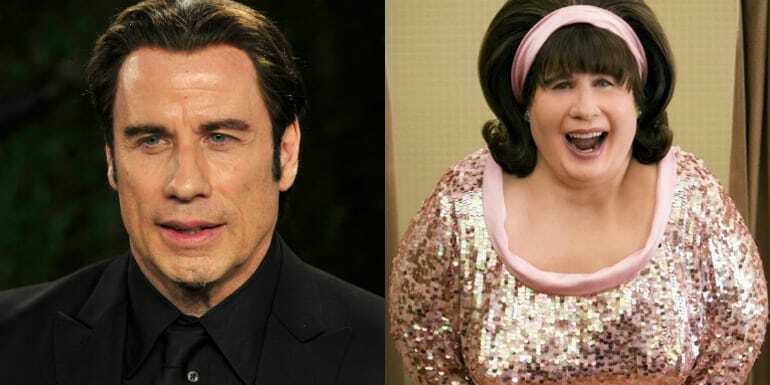 Travolta transformed into Edna Turnblad, the larger than life mother figure in the 2997 film adaptation of the musical, Hairspray. John put on a fat suit for the role, as well as five separate prosthetics to his face, hair, and makeup. To turn into Edna, Travolta spent five hours a day in the makeup trailer. Travolta’s character also needed to sing and dance, and John more than delivered on that end as well. It’s amazing what someone with an extra 30 lbs fat suit can still manage. 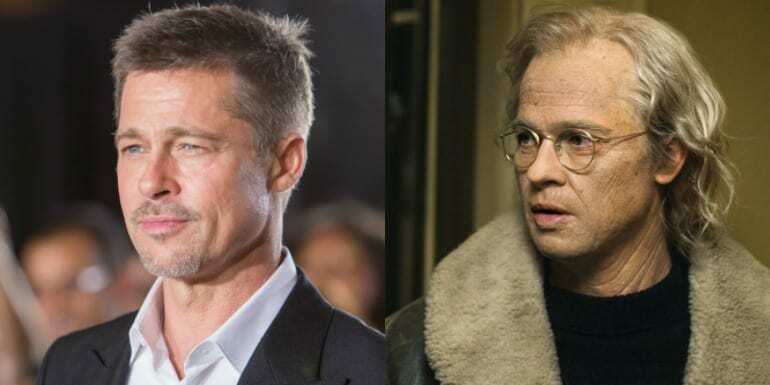 In one of the biggest and toughest cinematic transformations, Brad Pitt became the man who grew young, Benjamin Button in The Curious Case of Benjamin Button. In this film, the makeup was much more than makeup. A thin membrane was implemented onto Pitt’s forehead and mixed into his skin to make wrinkles much more apparent. Makeup took hours every day and started out and finished in a very complicated manner. In the beginning, there is a need to make Pitt look extremely old and wrinkled, while towards the end of the film they needed to make him look like a teen. He’s mean and he’s green! Jim Carrey played the grumpy Grinch in How the Grinch Stole Christmas. Carrey brought to life the Doctor Seuss character with such animated vigor that he practically popped out of the screen. 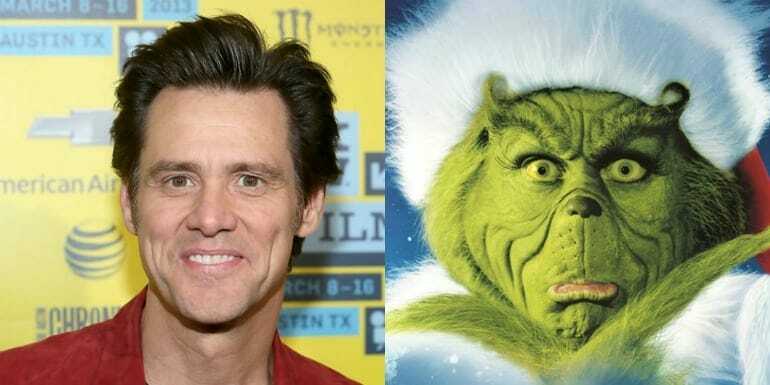 However, to become the Grinch, Carrey had to spend between three and four hours a day to get the prosthetics and makeup put on, not to mention those yellow contact lenses. Carrey was very dedicated to his role, though, as he had to find pain management techniques after the contacts and costume were so incredibly uncomfortable for him. 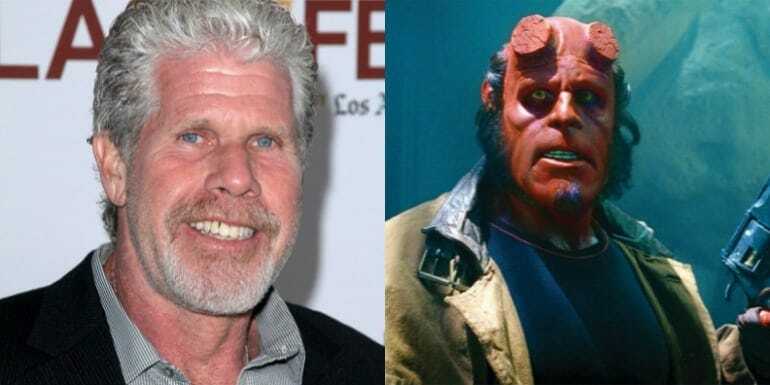 The 2004 film Hellboy, based on the comic book, starred actor Ron Pearlman as Hell Boy himself. Pearlman had the physical raw material to play the role as he was so tall and broad. The character was a reformed demon who got his horns sawed off and presented with red skin. The hours that it took to make Pearlman into Hell Boy numbered in the high single digits. The only part of Pearlman that wasn’t covered in the red paint were his eyes. 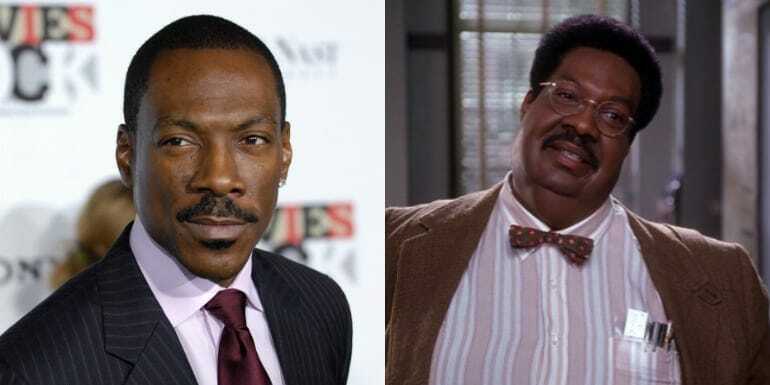 Funny man, Eddie Murphy, wore several fat suits and makeup prosthetics in his films The Nutty Professor and Norbit. In addition to playing his own character, Murphy played the role of several of his family members as well. 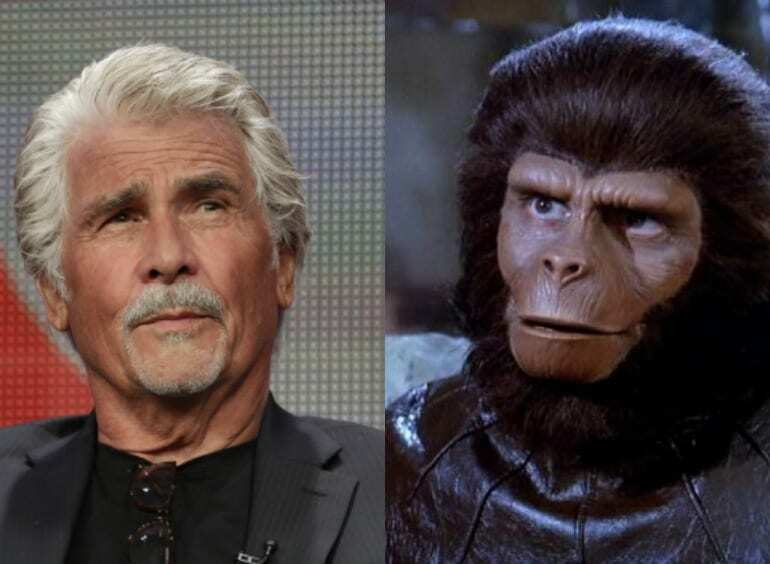 Murphy used the help of special effect makeup artist, Rick Baker, to bring his vision to life in the films. Murphy would spend most of the hours on set in hair and makeup as he would change from one character to the other. Without a nose, it took people a while to figure out who was the actor behind Voldemort in the Harry Potter film series. Actor, Ralph Fiennes, who usually goes for more dramatic roles and less for the fantasy ones, surprised viewers when he was cast as the root of all evil in the film. 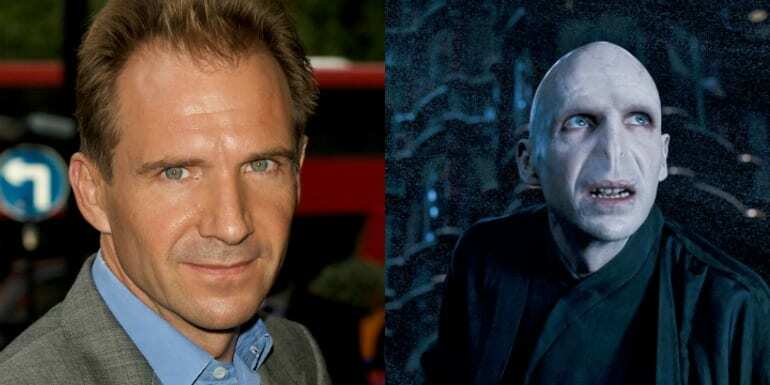 Fiennes spent many hours in the makeup chair every single day to become Voldemort. The use of prosthetics was necessary to make his eyes look so deep-set and his nose non-existant. In addition to the makeup, Fiennes got fake teeth to complete the look (which made impossible for him to eat between takes). Back in 1990, Johnny Depp played the role of Edward in the film Edward Scissorhands. Makeup artist Stan Winston brought to life the scissors that Edward called as hands, as well as the hair and makeup that would be Edwards hair and complexion. 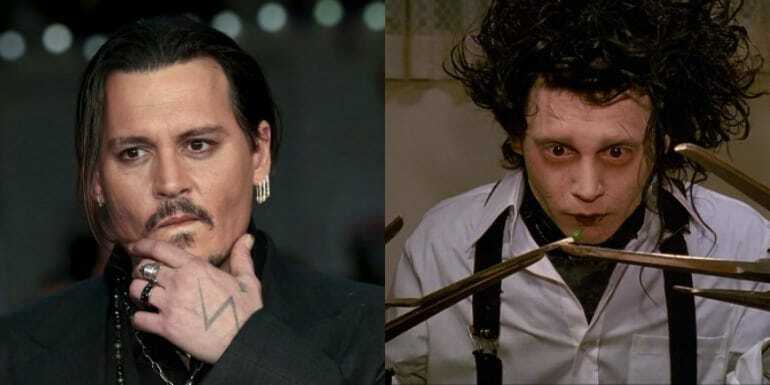 Depp spent over two hours every day getting the prosthetic hands put on, his wig in place and his white makeup applied (the white was used to make Edward’s facial scars more noticeable). 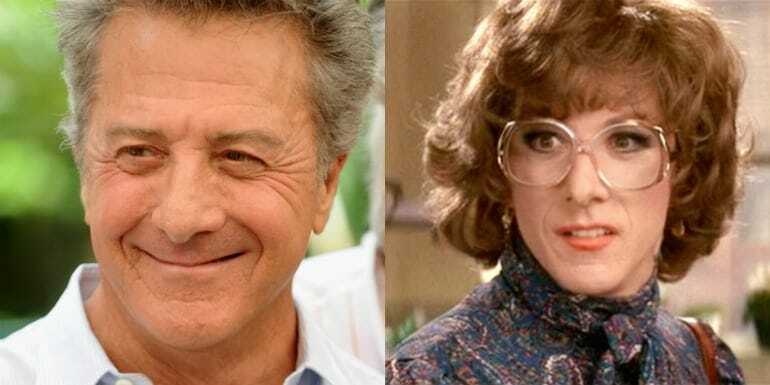 In another case of male lead taking the role of a female, actor Dustin Hoffman transitioned into Dorothy Michaels in the 1983 film Tootsie. Hoffman plays the role of a struggling actor who becomes a female soap star. Hoffman sat quietly as he was having his makeup done daily, a wig put in place (a perfect hair color for his complexion if we do say so ourselves) and a prosthetic chest added. Wardrobe was the last element in Hoffman’s transformation, truly making him Dorothy Michaels. 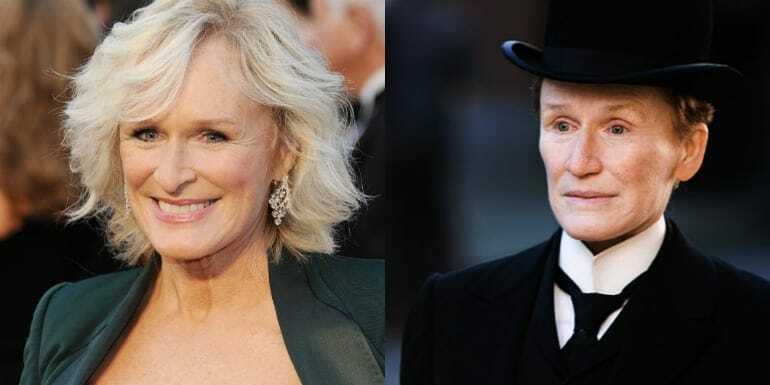 Only an actress like Glenn Close could execute a role like Albert Nobbs. In the film, taking place in 19th century Ireland, Close plays a woman who pretends to be a man. Close spent hours in the makeup chair transforming into Albert Nobbs himself. It may seem as though the character is as simple as it gets in terms of his or her features, but the truth is that it took many an hour to make Glenn that ‘simple’. Glenn Close got an Academy Award nomination for her role in the film. 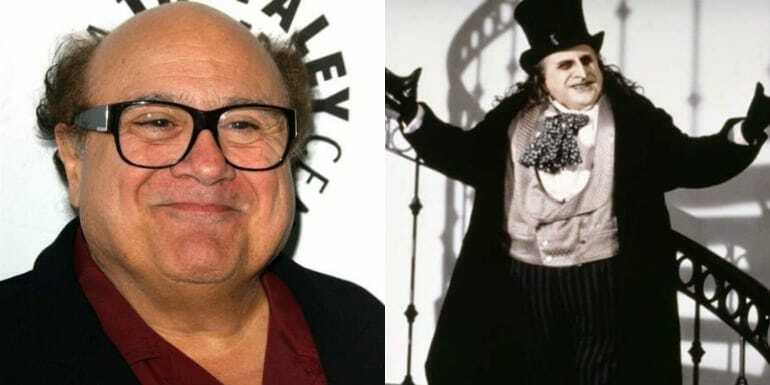 In 1992, actor Danny DeVito played the role of The Penguin in Batman Returns. The hardest part of his makeup work were the prosthetics that were used as his hands as well as his face. His hands were covered with special fin-like prosthetics, while his entire face was reshaped with a prosthetic that was meant to make his face more bird-like. Add to that DeVito’s long hair and pale makeup and you got yourself The Penguin. 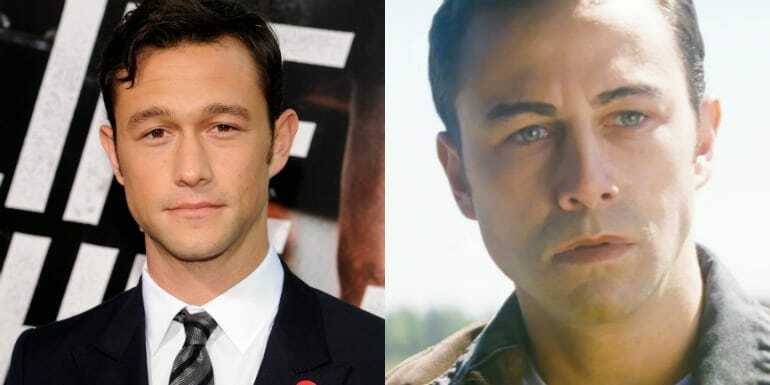 Joseph Gordon-Levitt had us doing a double-take during the film Looper. Watching the film, you think it’s him but he doesn’t look like himself so it can’t be him. Well, thanks to months of research on behalf of the makeup artist and three hours a day in the makeup chair, Levitt transformed into a young Bruce Willis thanks to intrinsically designed prosthetics that were put on his face in several spots. Levitt prepared for his role by spending a lot of time with co-star, Bruce Willis, to pick up his mannerisms and speech patterns. 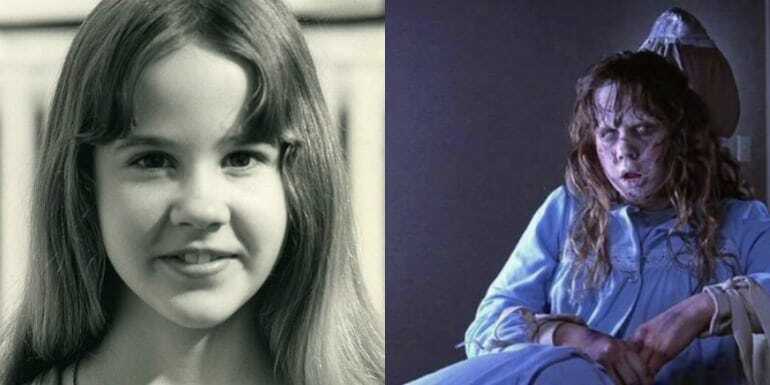 In one of the scarriest films we have ever seen, actress Linda Blair played the role of a young girl possessed by a demon in The Exorcist. The 1973 film used loads of makeup and special effects to make Blair’s character move her head 180 degrees, throw up green goo, and look progressively more demonic as the film went on. For the vomiting scene, Blair’s stunt double wore a special mouth piece that was made out of plexiglass that hid a tube that was connected to the goo. 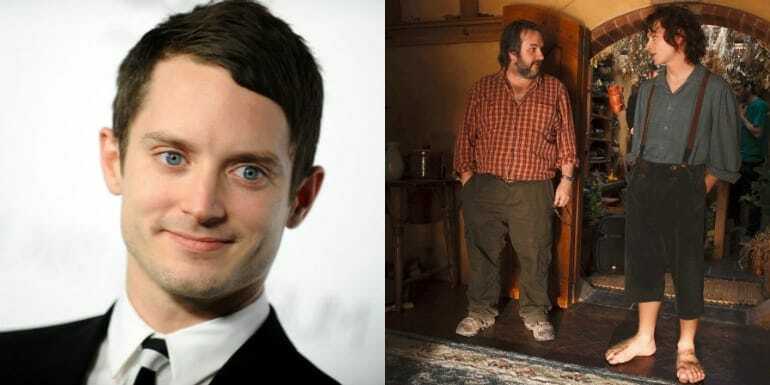 Elijah Woods played the role of Frodo Baggins in The Lord of the Rings and The Hobbit films. To get into character, he and the other hobbits needed to undergo quite the transformation. The hobbits had unusually large feet and pointed ears. To get their feet into the specially created hobbit feet, makeup would basically close the foot on their real one and then blend it to look real. In order to get out of the feet, the actors needed to literally break out of them. The effects department needed to make a couple thousand hobbit feet to provide the cast with enough. 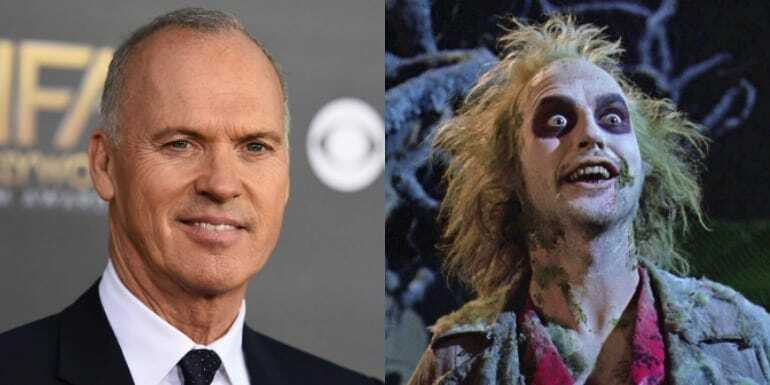 Michael Keaton played the role of Beetlejuice in the 1988 fantasy film. To get into character, Keaton had tons of makeup plastered on his face, a wig put on his head and dentures put in. Beetlejuice’s character was an exorcist for the living who’s job was to make sure that those who were living in the deceased Maitland couple’s home would leave. Keaton’s shift into Beetlejuice was a sharp turn from his usually clean-cut roles. Acclaimed actress, Susan Sarandon, accepted the role of the witch in the film Enchanted. At her ugliest in the film, Sarandon’s witch looked like the classic version that we all grew up hearing in a fairytale. Sarandon sat for five hours a day to transform into the witch. 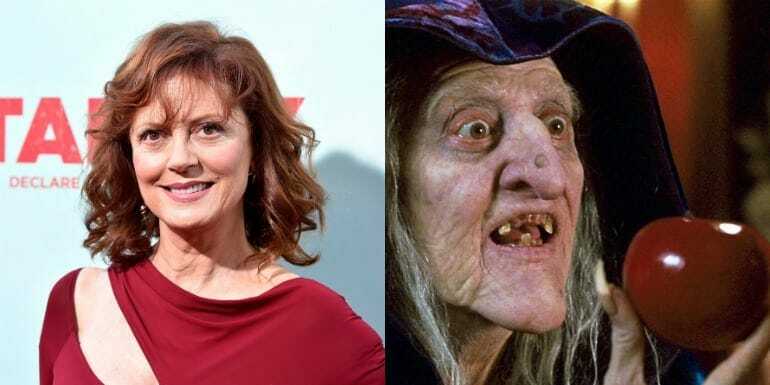 The transformation included prosthetics on her face, fake teeth, and makeup to make Sarandon completely unrecognizable to the eye. It also took a couple of hours to remove the day’s makeup as well. 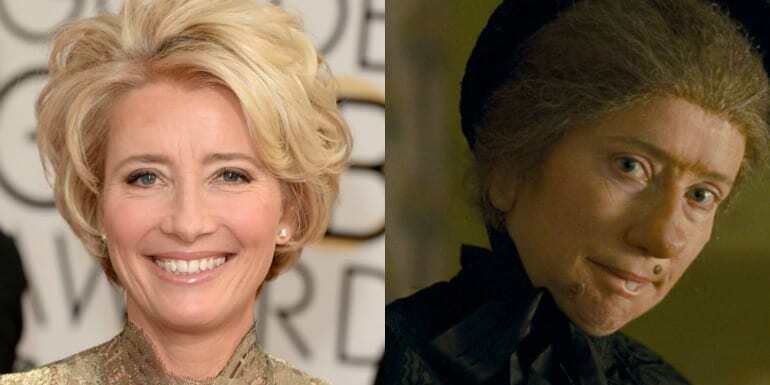 Emma Thompson transformed into Nanny McPhee for the 2005 film. Emma had to go through a long makeup session every single day of shooting to add her various facial prosthetics and dentures. It takes a lot of skill to turn a beauty like Emma Thompson into a disheveled and wart bearing woman. It was Thompson’s delivery of her lines and characteristics in the film that made Nanny McPhee who she really was. 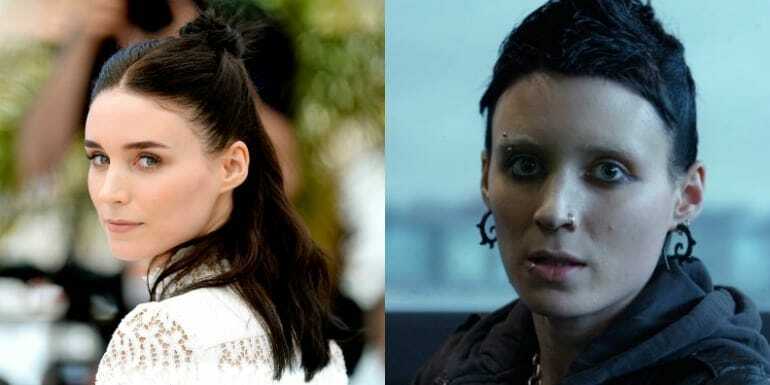 Beautiful actress, Rooney Mara, transformed into a much darker character for her role as Lisbeth Salander in The Girl with the Dragon Tattoo. Mara changed her appearance so drastically for the role that there are those who didn’t recognize that it was her at first. Her normally long and luscious locks were chopped off and dyed black, her eyebrows were bleached, piercings were added and very solemn makeup was applied. Rooney’s character acting was the cherry on top of a transformation cake, completing the transition from Rooney to Lisbeth. Actress, Elizabeth Banks, shapeshifted into the colorful and peppy Effie Trinket in The Hunger Games film franchise. Banks spent over two and a half hours in the makeup chair to become Effie. The character of Effie was that of a woman who lived in the Capital city of Panem in the film. Living in the Capital means you were wealthy and part of that status was to be as colorful and eccentric as possible in your outward appearance. The costume and makeup artists did a sensational job with Banks’ look. The 1985 film Mask introduced us to the character of Rocky Dennis, a boy with an abnormally big skull. 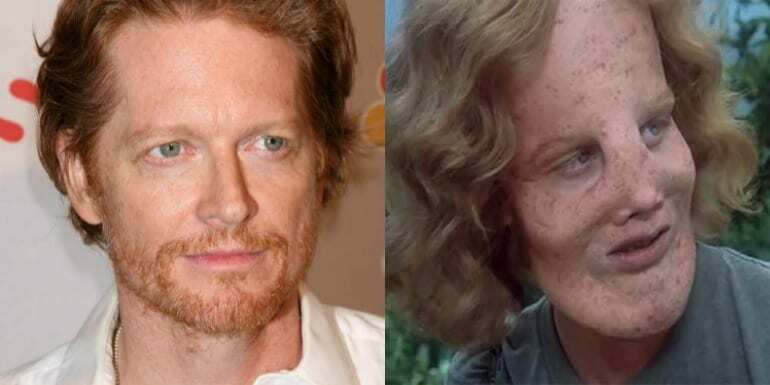 Actor Eric Stoltz played the role of Rocky to perfection. The makeup for this film had to be nothing short of perfect as it was what held up the premise of the film. Stoltz’s prosthetic facial features were done almost to the same degree as the real man who lived with this rare condition, with the exception of the eyes. The real Rocky had a three and a half inch gap between his eyes while Stoltz didn’t; if the prosthetic was exactly like Rocky’s then Stoltz wouldn’t have been able to see. Needless to say Eric spent many an hour in the makeup chair for this role. Meryl Streep can sing, dance and act, making her the classic triple threat in Hollywood. 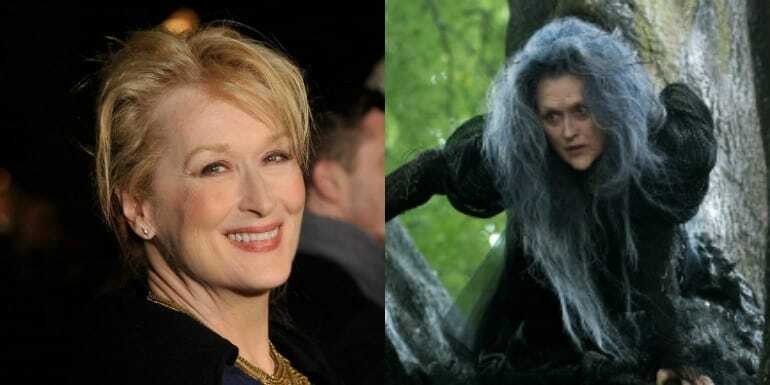 In the film Into the Woods, she not only sings and acts, she also transformed into the witch who toys with everyone’s fate. For the role of the witch, Streep received a prosthetic chin, forehead and oral inserts to complete the look. She also got hair extensions and pale makeup to add some shock and awe at her features. In the 80s makeup and prosthetic effects were good, but not as good as what we have today. Therefore, the hours at the makeup table were much longer than they would be now. 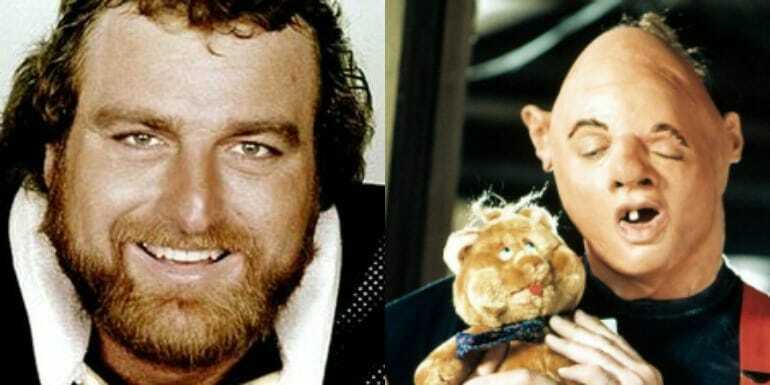 Actor John Matuszak played the role of Sloth who was a sweet yet disfigured boy. The way the effects team got the eye situation to work on John was the use of just one of his own eyes while the other was a prosthetic that was made to move along with his eye by way of remote control. The rest of his head was also one large prosthetic as well. 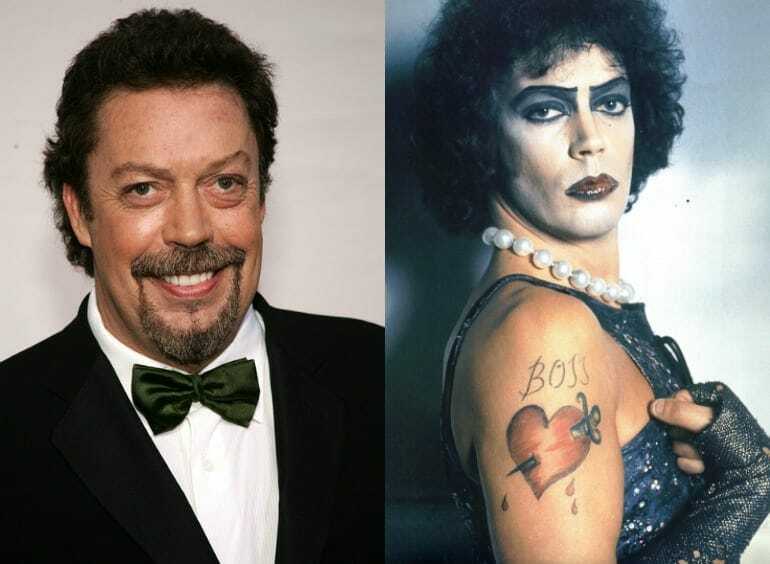 Tim Curry performed, yes performed, the role of Dr. Frank-N-Furter in the cult film The Rocky Horror Picture Show in 1975. Curry transformed himself into a heavily made up transvestite who had a crazy streak. Curry’s look included a corset that he wore for most of the production, in addition to fishnet stalkings and their high boots. Aside from his wardrobe, his face makeup was flawless in its dramatic and detailed perfection. 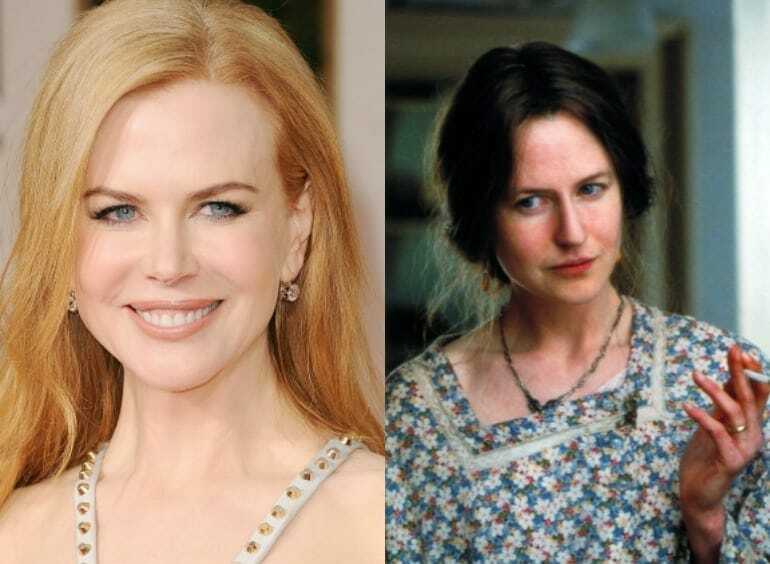 Nicole Kidman’s role as Virginia Woolf in the film The Hours only took one change in her face to make waves. Kidman wore a prosthetic nose throughout the film, changing her face entirely. Kidman spent around three hours a day in makeup to make the look as natural as possible, as well as to downplay Kidman’s naturally beautiful features. Kidman won an Academy Award for her role in the film. 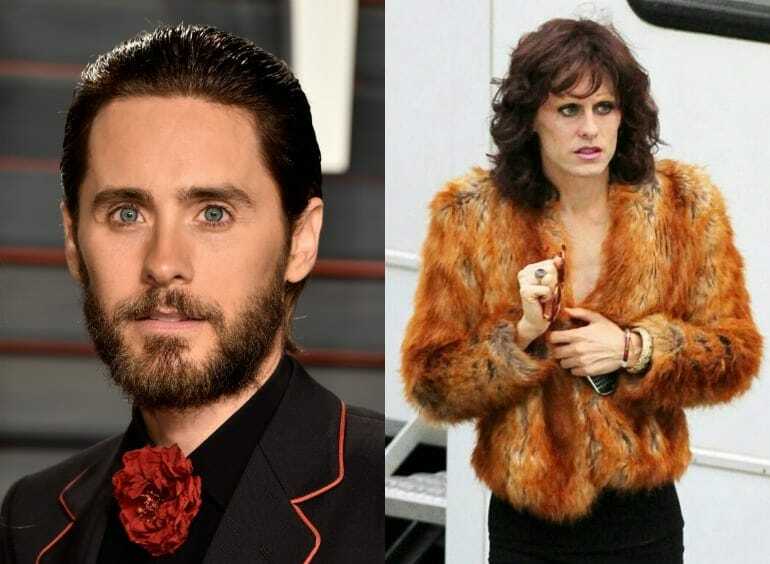 Jared Leto won an Academy Award for his role as Rayon in the Dallas Buyers Club, an award he truly earned. Leto started the process of becoming HIV-positive Rayon by weighing in at just 114 lbs. Like many other actors in Hollywood, Leto is a method actor. He would dress up like his character and walk the streets to get the public’s reaction. Between the weight loss, the makeup and the method acting, Leto entirely transformed into his character. In the 2008 film Tropic thunder, Tom Cruise transforms into a fat, balding studio executive, Les Grossman, if you could believe that! 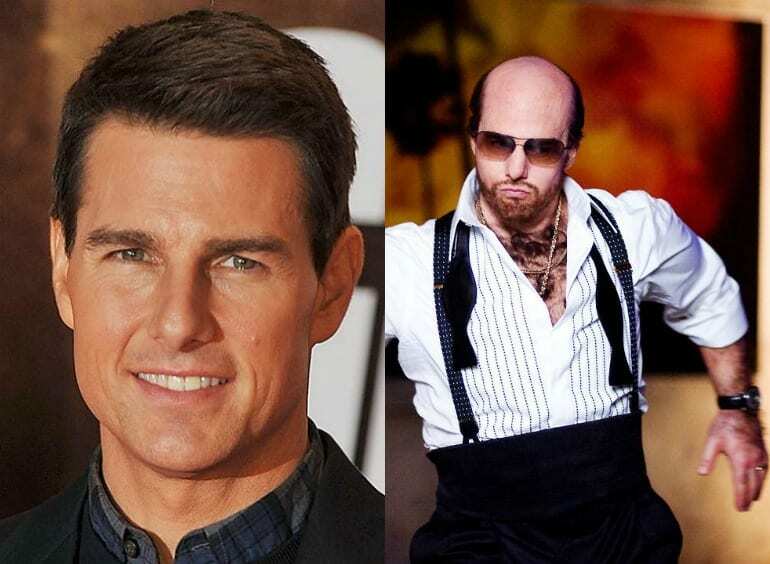 Cruise walked into a fat suit to get the gut that the character has, not to mention the hours he spent in hair and makeup to get the half balding look with an added trimmed beard. Cruise decided to up the ante with prosthetic hands that were much larger than his to make it look even more strange. Much like another actor on this list, Johnny Depp is on this list twice. Depp’s role as the Mad Hatter in Alice in Wonderland had him sitting in the makeup chair for hours on end. 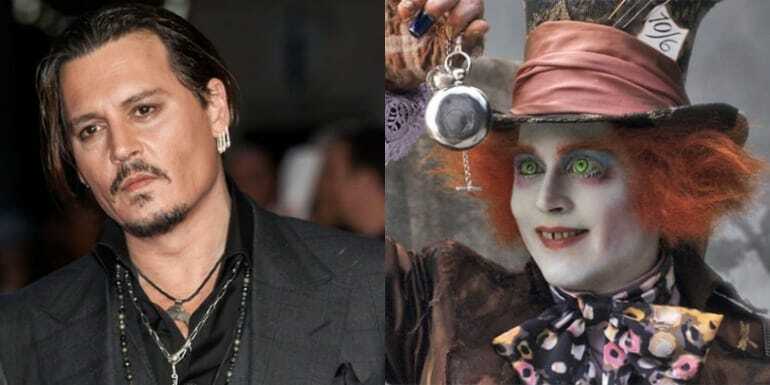 Lucky for the production, Depp is used to being in the makeup chair, just think of his as Captain Jack Sparrow in Pirates of the Caribbean or Charlie in Charlie and the Chocolate Factory. If anything, it seems as though Depp seeks out the roles where he has maximum transformative abilities. 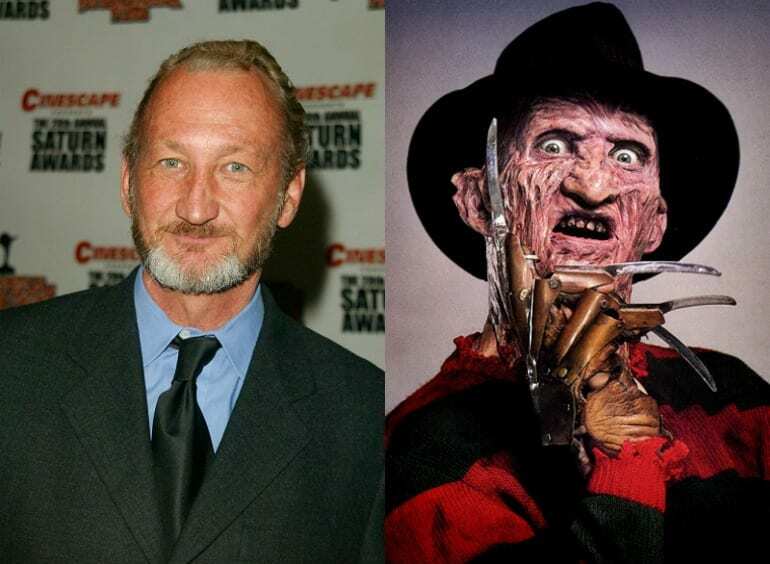 Robert Englund transformed into the role of nightmare hunter and boogeyman, Freddy Krueger. The look that Freddy was meant to have was a burned one as he sustained his injuries from being burned alive. Makeup artist David B. Miller did extensive research as to the real injuries burn victims received so as to make the makeup as authentic as possible. Englund sat for hours getting Freddy’s appearance put on, which were a combination of prosthetics, makeup and dentures. Of course, Jim Carrey would appear twice on this list. Carrey landed the role of a man who finds a strange mask in the 1994 film The Mask. 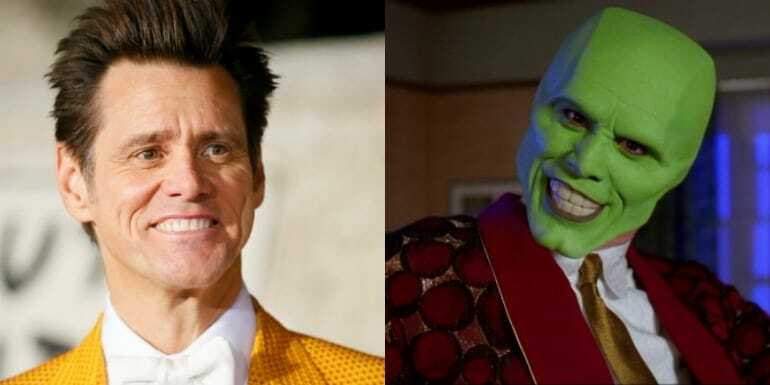 Carrey put on a hand-painted green latex mask and prosthetic teeth to become his character. The latex of the mask gave Carrey the ability to make facial expressions that would translate though the mask itself. The teeth weren’t meant to be in every scene, but Carrey was a trooper and managed to perform with them in the entire time. Filmmaker Guillermo Del Toro made the film Pan’s Labyrinth as a fantastic world filled with epic beasts and sets. 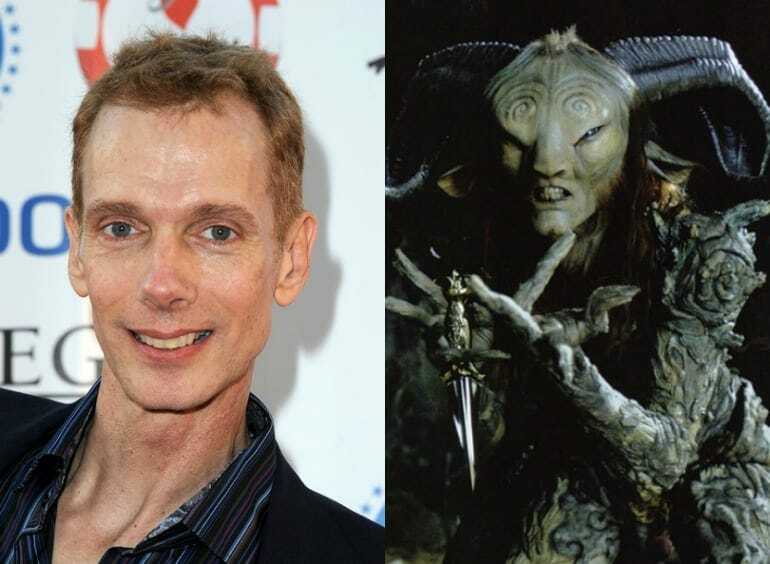 Doug Jones, who was one of Del Toro’s collaborators and played the role of the faun and the Pale Man, spent over five hours a day transforming into his character. The costume and makeup department did such a great job with the prosthetics, makeup, wardrobe, and effects that very little digital altering needed to be done in editing. The late actor, Heath Ledger, played the role of the Joker in the Batman film The Dark Knight. 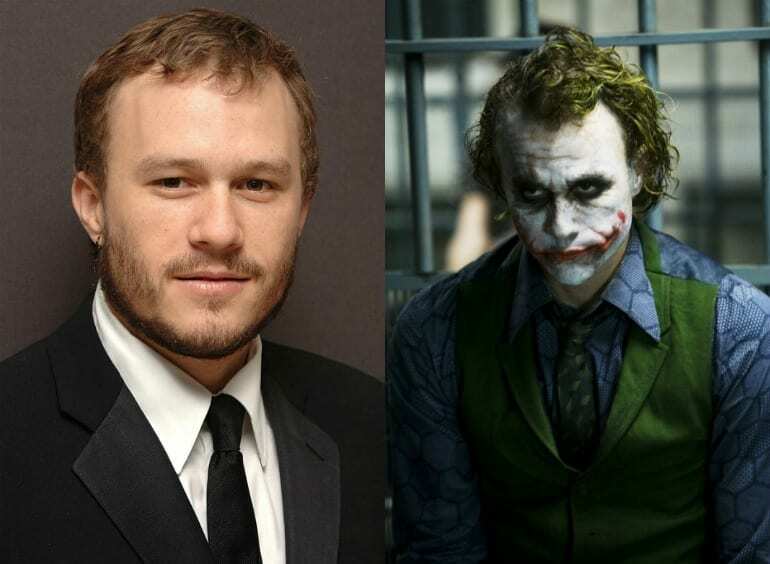 Even before the makeup was applied to Ledger, he used his method acting technique to get into the role. The makeup transformation from Heath to Joker took a little less than an hour to do, thanks to a new technique of stamped silicon. The true transition into the Joker would take Heath into a dark place in his own life, as he was so dedicated and committed to making his role as the Joker as believable as possible. French actress, Marion Cotillard, transformed into singer Edith Piaf for her role in the film La Vie En Rose. Getting into character would mean for Cotillard to take Piaf’s features and make them her own, which is exactly what she did. Cotillard hunched her back like Piaf and sat for hours in makeup and hair to look exactly like the French singer. The red-lipped, thin eyebrowed woman was portrayed with respect and success by Cotillard. 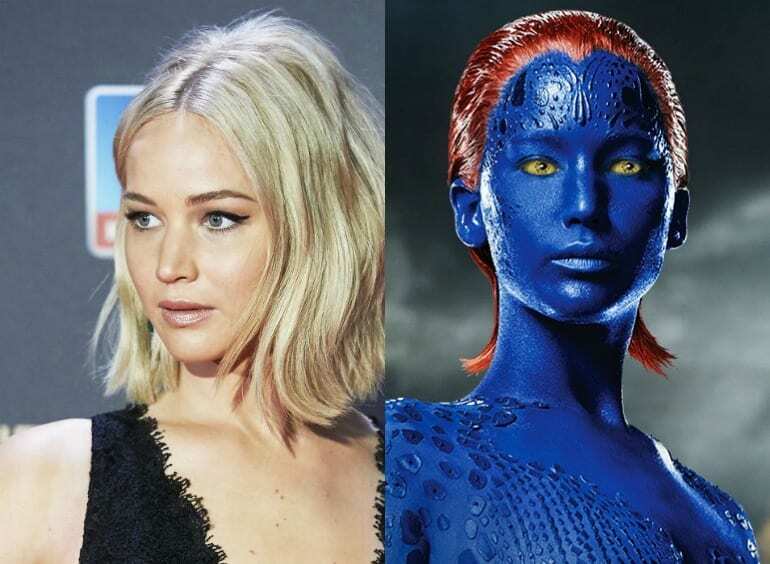 Actress, Jennifer Lawrence, critically acclaimed for many of her roles, landed the role of the blue mutant in 2011 and reprised it once more in 2014. During the first film in 2011, Lawrence had to spend an astounding eight hours a day in makeup! She was painted blue from head to toe, with the added scale texture to her skin, had yellow contacts inserted to cover her whole eye, and had an orange wig applied. For the 2014 version, makeup took (only) three hours as Lawrence wore a body suit instead of the paint as it was discovered that she was mildly allergic to it. Rebecca Romijn played the original Mystique in the X-Men films. Transforming into the blue-skinned mutant was no easy task, though. Romijn spent nine hours being turned into the character every day with four makeup artists working on her simultaneously, adding hundreds of scale prosthetics to her body paint, yellow contact lenses and orange hair. Romijn stated that during the second film of the franchise, the hours in the makeup trailer went down to six hours. Guess that after months of doing things the makeup artists got the hang of it.